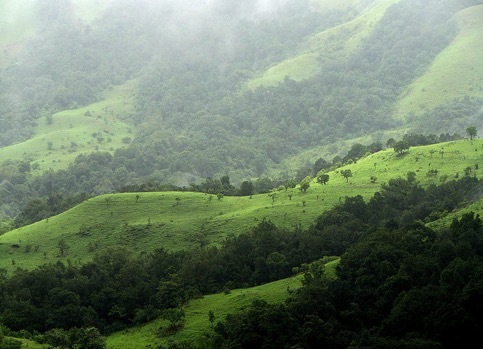 Top Places to Visit for Trekkers in India - Ghumakkar - Inspiring travel experiences. If going on a trek while planning for a much-needed vacation is always your first priority, you would be glad to know that your country comes with a lot of places where you can gain a next-level experience. India is a home to numerous thrilling treks that not just gives you a lifetime experience but some of them are totally offbeat ones. 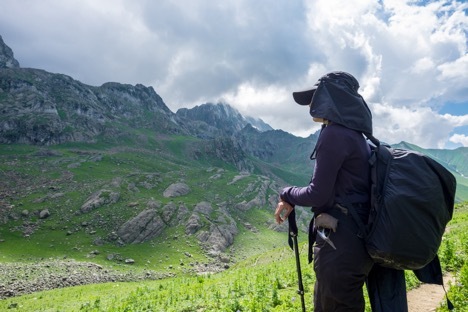 Going on a trek is undoubtedly the best thing one can try out as this is the ideal way to explore the place, its mountains, beaches, and biodiversity. There’s no better feeling than being amidst mighty mountains, in the lap of nature, and most important having a notion that you have done something that only a few would have thought of doing. So, here’s the list of some mind-blowing places you can go for trekking, you can also check routeprintsfor more places/treks. See if any place from this list is still left. I’ll be starting with one of the most difficult treks to try out in India. As the name defines, the Zanskar River in the region of Ladakh turned into a chadar or I should say into an icy blanket to trek on. The trek opens for a limited period of time during winters and is surely one of the most stunning treks to go on in India. The reason why, the trek is very challenging because it takes a lot to walk on the thick blanket of ice. 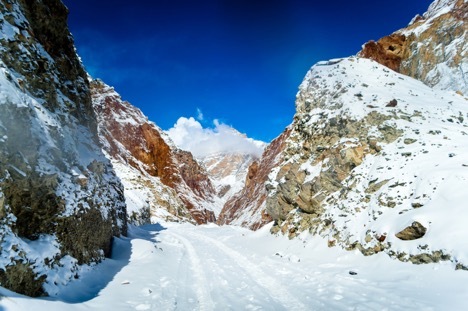 If you haven’t tried this trek yet, go for this adventure and experience living in the freezing temperatures and the ethereal beauty of this icy world. The second position in the list is bagged by Roopkund Trek, which is also one of the lesser-known treks in the country. Talking about how the trek got its name, Roopkund was named after a beautiful glacial lake called the Skeleton Lake in Uttarakhand. The place is even called as the Mystery Lake as it discovered human skeletons and horses remains from the Paleolithic Age. And the interesting part about the trek is that it is not just famous for its adventurous activities but for some spiritual beliefs as well. 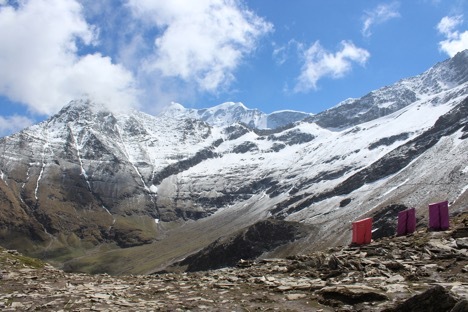 Roopkund’s lush greenery, snowy mountains, alpine forests, and rocky glaciers are surely a feast to the eyes, thus making it an ideal choice to go on trekking. Also, not to forget that the usually remains frozen during most of the time of the year and when the lake defrosts at the time of summers, you might see a number of human skeletons in the water. Sounds little haunted? I can make a bet that this place is by far the favorite place to go for trekking maximum number of Indians out there. When in Manali, do not ever miss the opportunity to explore the hippie paradise of Himachal Pradesh where you can see weed growing almost everywhere. 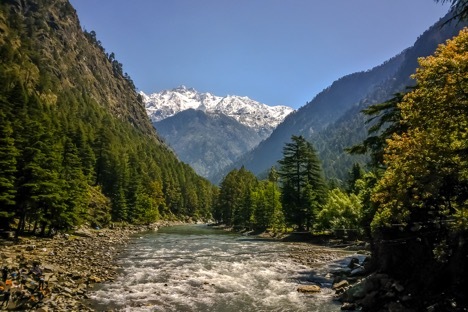 Kheerganga trekis counted in the list of easiest trails in the Himalayan region. Nothing can match the picturesque beauty of this place that can give you the peace you’re looking for. On your way to this trek, you’ll be experiencing some rare flowers, scenic vistas, and adorable birds. You can even soak yourself in the outstanding hot-springs and it is said that the water has superb healing properties. When it comes to trekking in India, we usually have this picture of the Himalayan region in our mind but did you know that the North Eastern part of India also allows you to go on a beautiful trek there. Yes, there’s one such amazing trail present in Kohima, Nagaland that is a must-try. Yet another one of the lesser known trails in India, the place is absolutely able to give your senses a calm and soothing feeling. Give a chance to hike to this highest peak in Nagaland and witness the breathtaking views of the Dzukou Valley, lush green surrounded all over, rhododendrons, spectacular mountain flowers, and the most unique part is you can even see the tallest rhododendron tree of the world, which is at a height of 130ft. Also, the best time to visit Japfu Peak is from October to May. Another mind-blowing trek in India, I am not sure you have heard about the place or not. 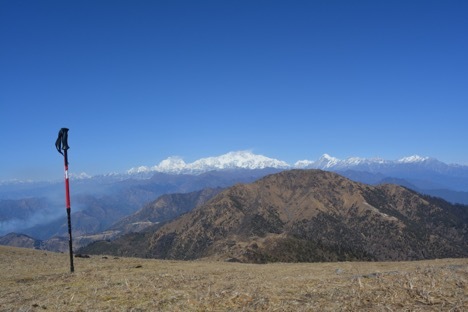 The highest peak in West Bengal, Sandakphu Peak is the ideal choice for all the trekking enthusiasts out there. The point situated at a height of 3,363m and allows you to capture the mountainous views of Kanchenjunga and Mt. Everest peak. Not just this but the trekkers can also witness splendid vistas of Makalu and Lhotse Peaks. The trek can be easily done in a mere 5 days and gives you ample number of chances to explore the magical Himalayan range of the countries like Bhutan and Nepal. Last but not least, Bhrigu Lake trek is surely home to mind-blowing views and provides an opportunity to spend the weekend in the most sorted ways. 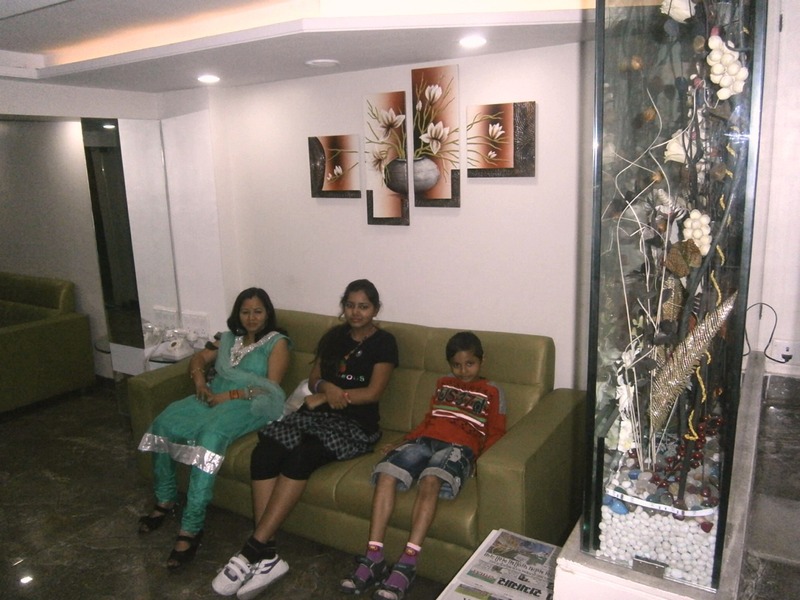 The place is a perfect escape plan for both beginners and avid trekkers, as it has something for both. One of the reasons, why I would suggest going on this trek, you can enjoy spending time in the beautiful alpine meadows at a quite low height of Himalayas and too that in such a short span of time. The trek will take you through amazing Manali valley to the holy lake. Beas kund trek is the other one near Manali which can you do and have a wild experience. The best part of Bhrigu Lake trek is you can take your beauty sleep under the star-clad sky like never before. डाकिन्यां भीमशंकरम ………..भीमाशंकर ज्योतिर्लिंग यात्रा.